There are lots of reasons to love South Carolina, especially Charleston and the beautiful island of Kiawah. Kiawah is a popular and luxurious vacation spot, home to a sprawling golf course, beautiful villas, and stunning natural scenery. Whether you love Kiawah for the historic plantations or beachfront property, make sure you visit Scout & Molly’s Boutique. We have all the outfits you need to make the most of this coastal escape. Learn more about our Charleston-area fashion boutique and how we can help you! Our Charleston County boutique is conveniently located in the Freshfields Village shopping center, an outdoor retail haven in Kiawah. Spend the day shopping, dining, and relaxing, and don’t forget to stop by the store and check out our newest arrivals. Visit Scout & Molly’s Kiawah today for friendly faces and the latest fashions. Do you ever feel overwhelmed when you walk into a department store or click through an online retailer? How do you know what will look the best on you, or what the next trend will be? Scout & Molly’s answers these questions with a boutique shopping experience unlike any other. Our in-house stylists are ready to provide you with stress-free, hassle-free shopping help, and are committed to giving you honest, friendly, and helpful advice. That’s just how we do things. It’s even part of our mission. Stop by today and see for yourself! Scout & Molly’s Boutique was built with a simple rule in mind. That rule is that “no one style fits all.” We have something for everybody, so you can stay true to your personal style and still be on trend. 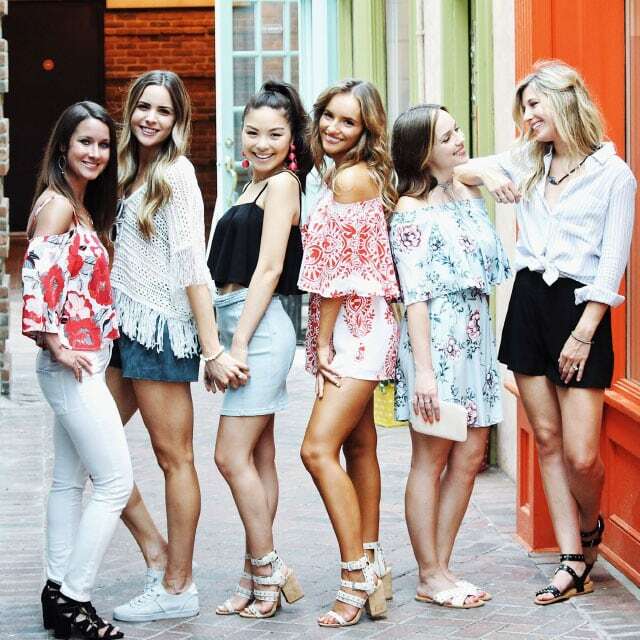 Whether you’re shopping for loungewear, workwear for the office, or statement accessories, Scout & Molly’s Kiawah boutique stocks some of the most promising and well-established fashion brands like BLANKNYC and Alexis Bittar. We promise you’ll leave our store looking (and feeling) your very best. Make sure you follow our location on Facebook and Instagram so you don’t miss out on new arrivals, seasonal announcements, specials, deals, and outfit inspiration.